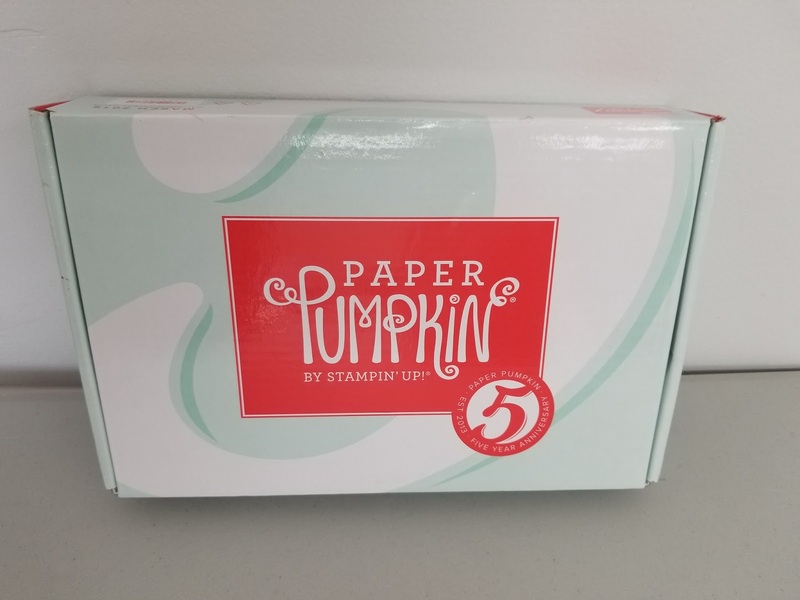 Susan's Craft Room: My 5th Anniversary Paper Pumpkin kit is here! The Anniversary Kit is a fantastic one! I LOVE the stamp set! 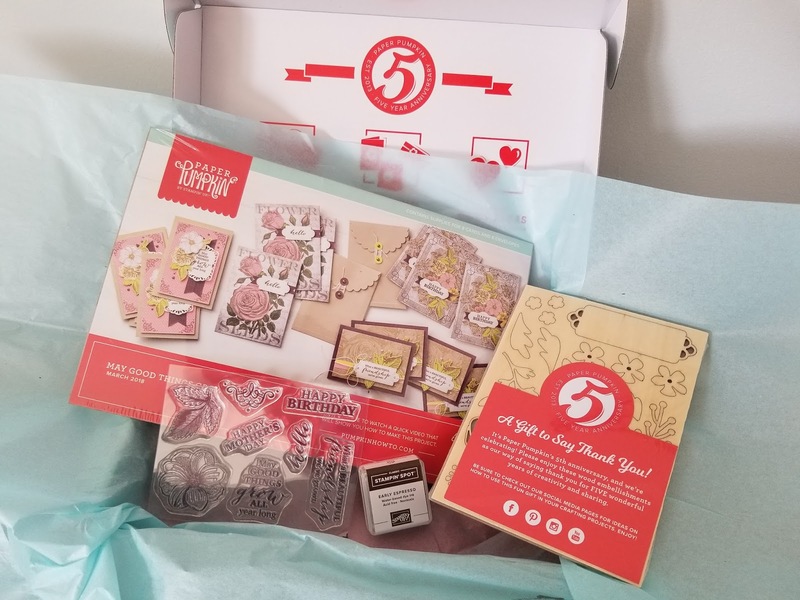 The card designs are great AND the free gift is big pack of wood embellishments. It has two 4" x 5 1/2" sheets of of awesome embellishments! There are some that are a beautiful cut out flower design! This gift is not a part of the kit that goes on the kit cards! It is something extra to use on other projects!